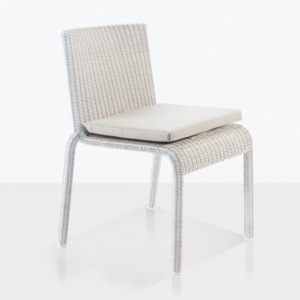 The Edge Wicker Side Chair in Chalk is a beautiful study on minimalist styling. The thin frame and svelte features show that strong structures need not be bulky. 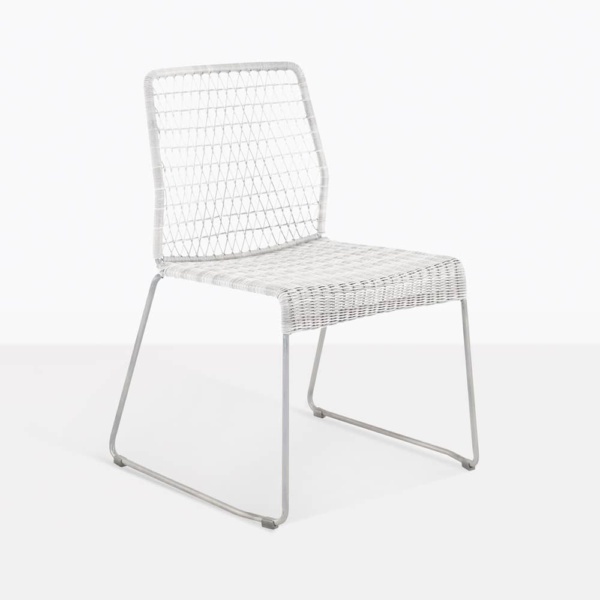 The weight and stability of this chair is unmatched in such a slim and stylish design. 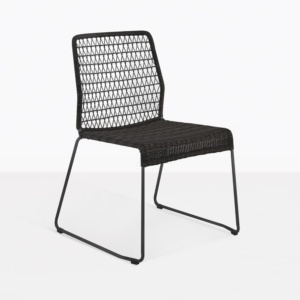 Galvanized Steel and Ecolene® synthetic outdoor wicker combine for a wonderful chair design that is sure to turn heads at your next outdoor event. 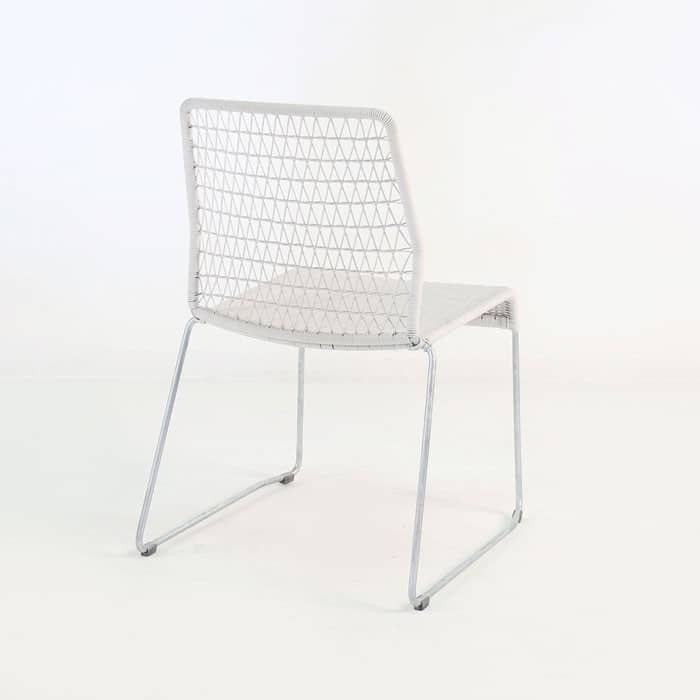 The versatile design makes this a chair that can easily be used indoors for unexpected dinner guests, or where you want a bold style addition. The quality materials and expert craftsmanship ensure that you will own this chair for a very long time. The gorgeous look will ensure you enjoy using it for anything that you need a modern chair for. There’s an ‘edge’ to our Edge Side Chair. It’s a slim, modern dining chair that’s lightweight with intricately woven wicker fibre over a sturdy steel frame. Despite its minimal footprint, this chair is more substantial than it looks. 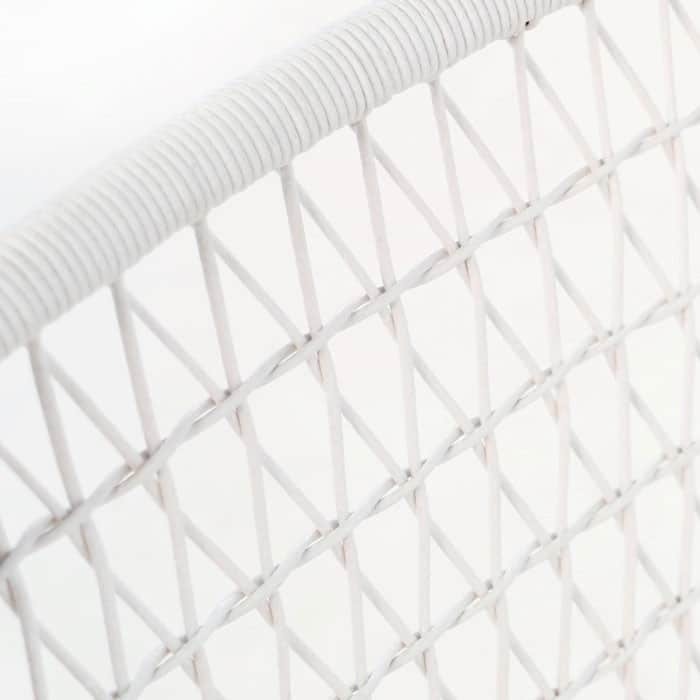 The synthetic wicker fibre is made of Ecolene®, renowned for its high-tensile strength and colourfast properties that make it possible to offer a range of different, unique colours, like this one in Chalk. This wicker chair requires little maintenance – washable with clean water. The fibre is resistant to moisture, chlorinated water and seawater, so it’s ideal for dining and relaxing by a pool and near the beach. 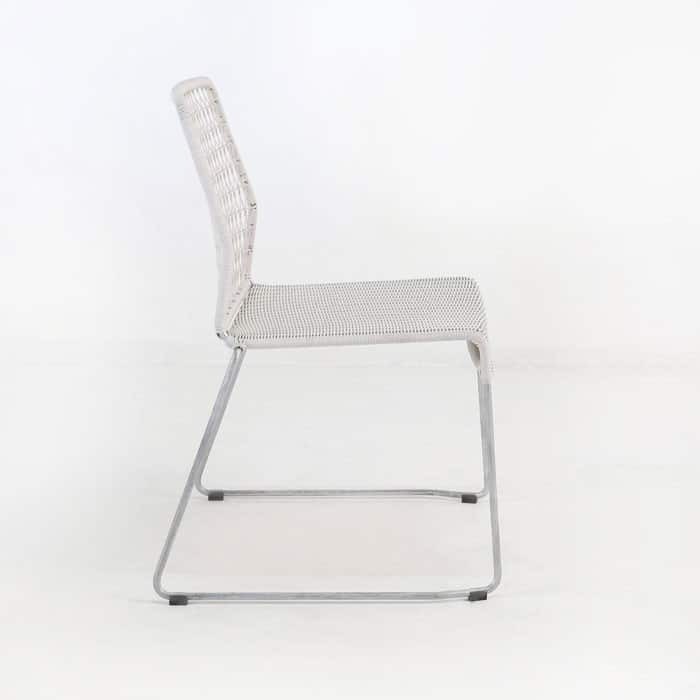 With its loosely woven back rest, the Edge Side Chair ‘breathes,’ allowing for the free flow of air as you relax during the hot summer months. 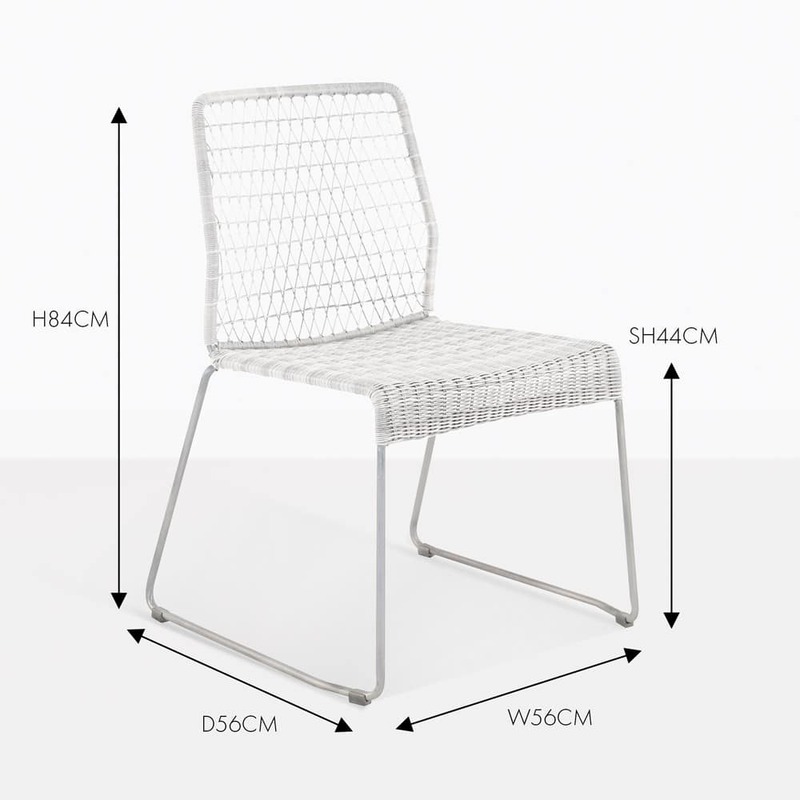 The thin, sturdy frame of the chair, because it’s made of steel and aluminium, offers the security of being firmly seated on the ground. Our Chalk coloured Edge Side Chair has the versatility to be placed in most outdoor environments, blending well with natural tones and will complement other outdoor furniture, including teak, stainless steel and concrete dining tables, also available from Design Warehouse.